President-elect Donald Trump's Environmental Protection Agency (EPA) transition leader, Myron Ebell, is a huge threat to the green gravy train. Now, with billions of crony dollars at stake, the green slander machine is doing all it can to slime him. Following their standard tactic, advocates of big government cronyism have picked someone to demonize as the face of small-government, pro-freedom ideals. Ebell is that face, and he's enduring the left's vilification for voicing reasonable thought on climate change policy. Though he bears the burden with grace and humor, there is no excuse for the personal attacks, which are designed to distract attention from the high stakes of the debate. What's at stake for big green is billions upon billions of dollars taken from taxpayers and consumers and given to green crony businesses. Just for wind energy alone, grants, tax credits, loan guarantees, and other subsidies add up to at least $176 billion. What isn't at stake—contrary to the left's talking points—is the Earth's climate. As costly as our current energy and climate policies are to the economy (they would cost the U.S. a net loss of 400,000 jobs and up to $2.5 trillion), they are projected to have negligible impacts on global temperatures—even if you believe the questionable climate models of the Intergovernmental Panel on Climate Change (IPCC). When judged by their actual effect, it becomes clear that the real goal of international climate policies is a power and money grab that no one, not even its most vocal supporters, believes will have much impact on the climate. The big problem for the framework convention, the IPCC, renewable energy hustlers, and climate rent-seekers of all sorts is that Ebell is on to their game. So, out come the daggers of personal attacks and character assassination. Many in the media are more than happy to abet the groups who perpetrate these attacks. The Media Research Center provides a nice sampler of these attacks and associated yellow journalism here. It's not at all clear what the name-callers mean when they call Ebell a "climate denier," but in a bizarre semantic twist, they appear to mean that he is not a hysterical climate data denier. Like most skeptics, Ebell recognizes the basic carbon dioxide science: Adding carbon dioxide to the atmosphere may somewhat increase warming. But he also recognizes the much more important question: How much is this "somewhat"? 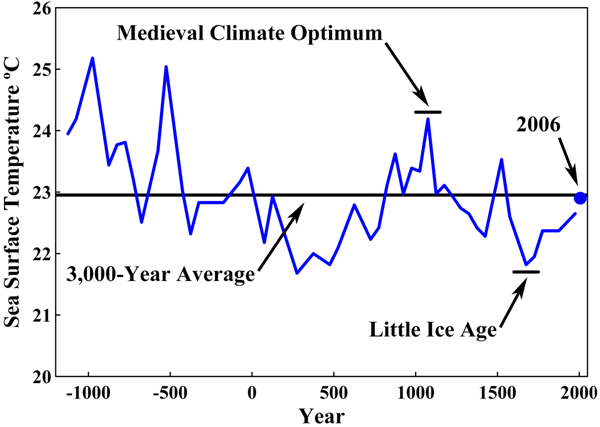 Ebell and those following the numbers know that the Earth's warming to date is much less than the IPCC models predicted and that the actual data don't point to a climate catastrophe. In addition, the unhinged claims of ever-worsening, extreme climate events don't square with the data either. There are no upward trends in droughts, floods, tornadoes, or hurricanes. Because knowledge of these facts is such a threat to the climate-industrial complex, anyone who dares to expose the truth comes under threat of personal destruction. In 1987, "Borking" became a term for getting shot down after the U.S. Senate torpedoed Robert Bork's nomination to the Supreme Court. We should not allow green activists to make "Ebelling" a synonym for "Borking."